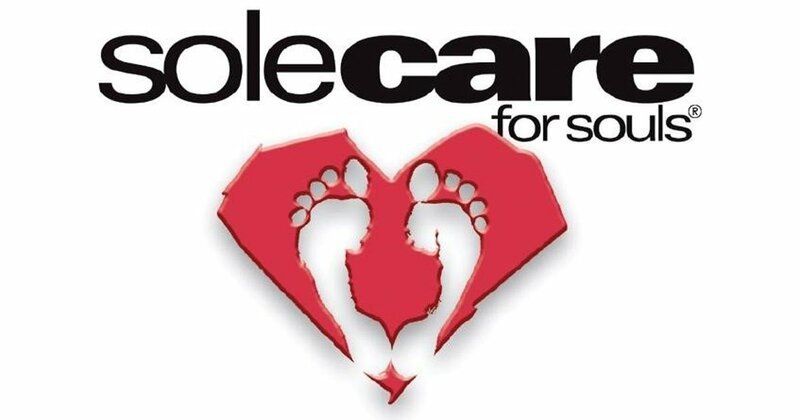 SoleCare promotes health and hope through provision of free medical foot care for people experiencing homelessness and/or living in under-resourced conditions. SoleCare is a 501(c)3 non-profit organization which depends on medical and lay volunteers to provide the SoleCare service at many locations in the Minneapolis/St. Paul area. All volunteers at SoleCare are Christ followers and are the heartbeat of the program. SoleCare consists of a foot soak and having a medically licensed professional provide medical care for the feet. Our providers trim nails, reduce corns/calluses, diagnose and treat common foot disease and provide foot massage for the clients; and at the end of a client’s care session, a new pair of socks is always given. Soul care is equally important in the care of our clients. All volunteers, whether providers or assistants are vital in providing hope. During a client’s foot care session, we engage them in conversation, offer a non-judgmental listening ear, encouragement, support and prayer.